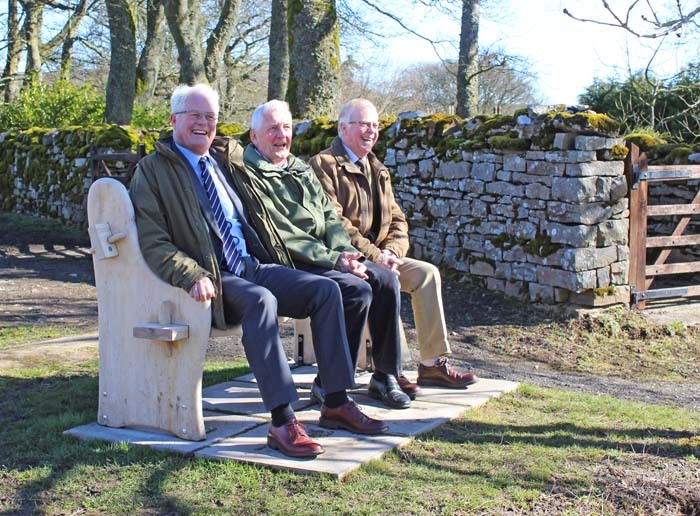 A year-long project to renovate the area in and around the car park and to create a picnic area at the Outgang in Thornton Rust has come to a successful end with the installation of an interpretation board. 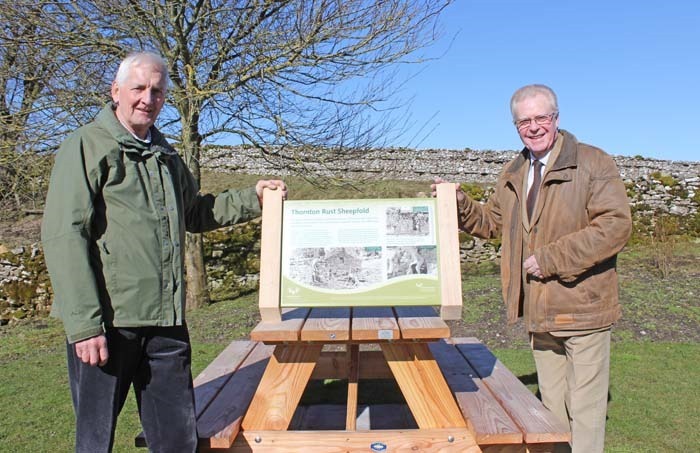 The board, which tells the story of how West Beck was used in the past to wash sheep, was included in a grant from the Yorkshire Dales National Park Authority’s Sustainability Fund. “These small projects are so exciting and so memorable,” commented YDNPA officer Andrea Burden when she was in Thornton Rust to celebrate with villagers. 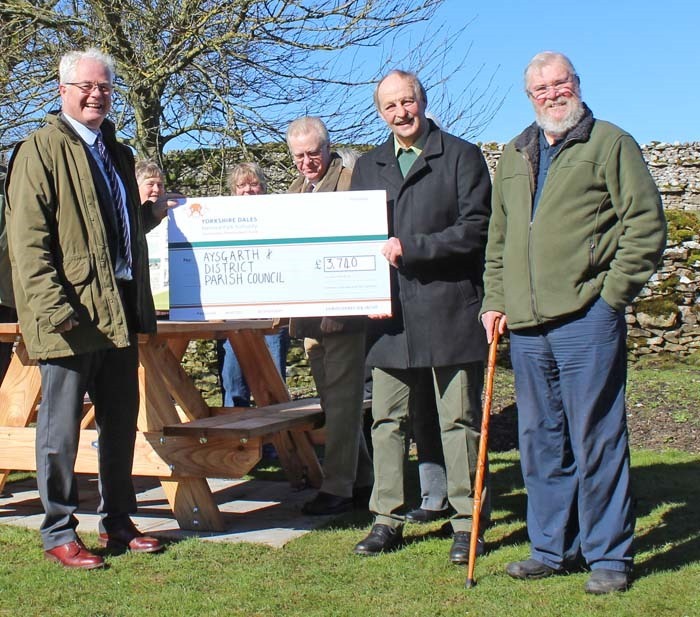 The YDNPA’s Champion for Sustainable Development, Chris Clark, presented Aysgarth and District Parish Council with a cheque for £3,740 from the fund towards the cost of the refurbishment. The project began in March 2017 when the state of the Outgang car park was discussed at Thornton Rust Parish Meeting. Cllr Pointon commented that it was more like a patch of waste land, very uneven, and with no proper surface for parking on. A team of volunteers was formed, led by Mark Sheard, to organise and carry out the work. The initial clearance work was done with the support, on a voluntary basis, of Tim Kilvington with his digger. 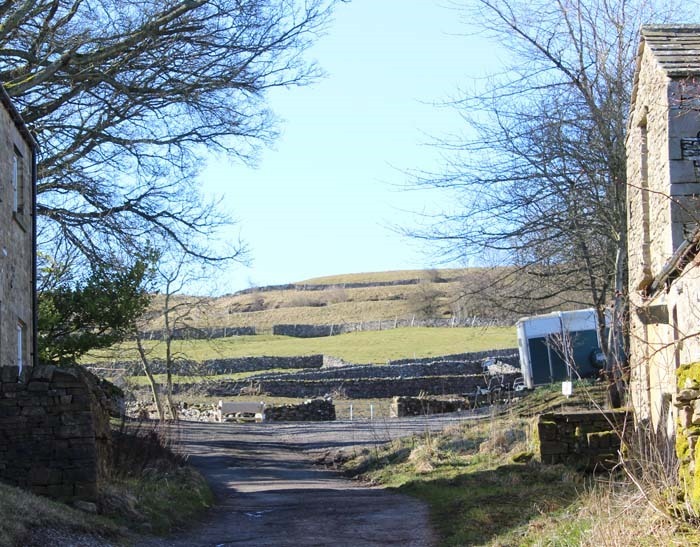 During the summer of 2017 some of the villagers worked very hard not just within the parking area but also around West Beck and the lane leading to the moors. In doing so they revealed features of the village’s agricultural and social past including how a pool was created in the beck up until the beginning of the 20th century so that sheep could be washed before being clipped. Eleanor Scar and her brother Owen Metcalfe provided information about that and had photographs taken by Dr Werner Kissling of a re-enactment in the early 1960s. Copies of some of those photographs are on the interpretation board. The full story of that re-enactment is told in the November 2017 edition of Now Then which is available at the Dales Countryside Museum in Hawes, price £2. Mr Sheard and Martyn Donno have also restored the old pots which were used for boiling up the dipping mixture used in the 1960s. The grant from the YDNPA also made it possible to install a picnic table and a bench beside West Beck. From the car park there is a bridleway to Thornton Rust Moor and then, via a permissive footpath, to the site of an ancient settlement at the top of Addlebrough. For those who don’t want to go so far there is a gentle walk up to the old lime kiln and into the Kennel Field where there is a seat overlooking the village. For more about the Outgang project click here. Below: Chris Clark (left) presenting the cheque to Cllr John Dinsdale (chairman of Aysgarth and District Parish Council) and Cllr David Pointon. Looking up the Outgang towards the car park and the moors beyond.